I announced the arrival of some Gates Carbon Drive Center Track components earlier this month, and here follows my technical and First Impressions report from the few rides I’ve put in on it so far. 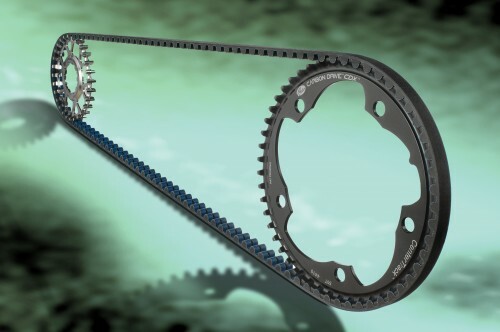 Let’s take a look at the advancements made over the previous Carbon Drive belt set ups. The Center Track was an outgrowth of Gates involvement with Spot Brand owner, and former owner and founder of Avid, Wayne Lumpkin. Mr. Lumpkin was brought in as a consultant on how Gates could improve upon the performance of their Carbon Belt Drive. The outcome was Center Track. As you can see, it dispenses with the flanged cogs and replaces that with a central “fin” that runs in a “track” molded into the center of the belt. The belt itself was also increased in width slightly to improve upon engagement. The tooth profile remains the same as before, but Mr. Lumpkin described the new arrangement as being far more tolerant of lateral misalignment between the cogs and as an added bonus, it actually repels dirt and mud better than the older “windowed” cog system. As for Gates’ intents, they voiced to us that they want to succeed in giving mountain bikers, and all cyclists, an alternative to a chain drive that is reliable, efficient, and reasonably priced. They also said they were not out to replace chain driven bicycles, but they obviously believe their product has the potential to be a better alternative. Are they arriving there with Center Track? This is the question we will seek to answer here. Our Experiences: My concerns with using the older Carbon Drive belt concerned belt tension and wear on the rear cog. The tensions required to keep the older 10mm wide belt from ratcheting was quite high. High enough that premature wear on the rear free hub bearing was happening and could be evidenced by the crunching and snapping sounds emanating from the hub due to the high belt tension. No doubt the bottom bracket suffered as well, since the crank had little free spin. When this same crank was unloaded from the belt tension, it spun quite freely. I wasn’t impressed with the extra effort required to turn the crank and the prospects of wearing out bearings faster than I would have with a chain. I also was concerned with the original Gates design for the rear cog. Both Grannygear and I experienced a chewing up of the interface on the cog with the steel free hub body. This was after only a few months of riding. So, while the interfacing teeth of a Gates rear cog and belt would likely outlast a chain, it was obvious that the cassette interface would fail far before a chain/cog would, thus negating the advantage claimed by Gates. Finally, the cog has been rendered in CNC’ed stainless steel, which should eliminate any of the chewing up of the cog’s splined interface that we had experienced before. Overall, the entire system is more refined looking and feeling, in my opinion. What Is Missing? : So far, so good, eh? Well, Gates is still trying to crank out different choices in the Center Track cogs and belts. This, by their own admission, will take some time. So, if you rush out as of the writing of this post to find a Center Track set up, the choices available now might not suit your desired gear ratios. Also, Gates has ballyhooed the iPhone ap for tensioning the Center Track, (and other Carbon Drive set ups), but not everyone carries an iPhone, (Yes- believe it or not! ), and beyond the “gee-whiz” factor, this fails to address a practical means that every rider could use to tension the belt. This is critical to success, so I would like to see Gates come up with some mechanical means to determine a consistent and proper belt tension. Finally, beyond the scarcity of choices at this point, Center Track isn’t cheap. (At post time, I couldn’t find any MSRP’s on parts, but as we were told, Center Track is considered Gates “premium” product, and will be more expensive than Carbon Drive is now.) Assuming that prices for Center Track will top current belt drive component prices, you can figure that one could buy a couple complete chain driven single speed drive trains for the same amount of money it takes to set up one Center Track bike. Ride Impressions: With all that discussion now behind us, the real question is, “Does it work?” Well, the old system “worked”, but with caveats. The Center Track does seem to be better from a couple of standpoints. First: The belt set up does spin better with Center Track’s lower tensions. In fact, within the belt’s necessary “tuning range” of 70-85Hz, I could get my crankset to spin backwards as easily as it would with a chain driven set up. When I first got the Center Track components, and tried fitting them to the Sawyer, the first belt I received was juuussst too short. It would have been nice to be able to run the shortest possible chain stay length dimension. The next belt came, a size up, and it put the sliders nearly all the way back in the throw. Hope I like 18″ chain stays! If I don’t, well, at least for now, Center Track wouldn’t be for me. As for tensioning, I do not own an iPhone, so I actually tuned my belt to 70Hz with the aid of a bass guitar and a tuner. (That would be a scene in the pits at your local XC race! 🙂 ) Obviously, if I had a bike that required re-setting the tension after removing the rear wheel, or if/when Gates gets more cog options, and you want to change a belt/gear, etc, then tensioning the belt becomes a matter of some guess work on the part of someone. Especially in the field. 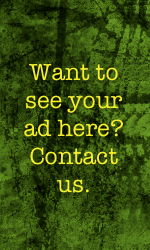 It may not be a big deal in some situations, but it could be. What I am saying is, it should never be, for a premium system like Gates Carbon Drive. This needs to be addressed to make the system more practical for users. Performance-wise, this seems very dialed. I will keep up riding it for awhile until I come back with a Final Review. We will see how it holds up in the longer term. Note: Gates sent the Carbon Drive Center Track for test/review at no charge. We are not being paid, nor bribed for this review and we will strive to give our honest opinions and thoughts throughout. Interested in this as a “set and forget” system that is even more “forget” than a single speed chain drivetrain. Single speeding is hard enough on bearings, is the tension low enough that there is no additional wear on bearings over a chain? For me, I would convert in a heartbeat if it was low enough tension that I could have a frame as comfortable (laterally flexy) as mine. @BeerBikesBerm: It is as low as what a new, slightly tight chain system would be, but not as free as a worn in chain can be. (If that makes any sense) The thing is, Gates is in the ball park now with tension, but the big question is will it hold up? Please tell us more about this Hz belt tensioning. Do you “thump” it to find the frequency of the belt? So is a C sharp higher tensioned than an A minor? Why does it not just come with a tuning fork, LOL? Interesting. My Sawyer is currently set up with the front deralliur in stock configurations with a 20 tooth rear cog. Perfect 2 x 1 set up with a single chain tensioned. 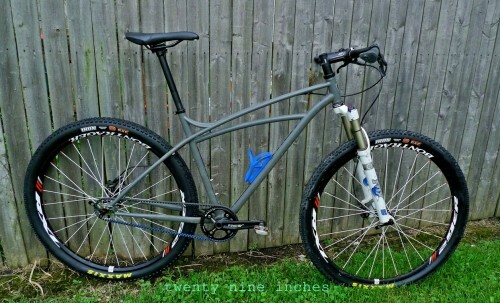 It has Niner flat bar, 90 mm Ritchey stem, rolling on Crossmax wheels with Ardents up front and Ignitor in back. I love it on the technical rock sections and it handles well.with low tire pressure. Waiting to see this system worked out so I can give it a whirl. I have a question about tuning via acoustics….wont different frames cause the belt to produce a different tone, even at the same tension? I guess that 70-85hz is a wide enough range to cover everything? dgaddis: No, the same tension on the belt on one frame vs. another frame will produce the same ‘note’ or frequency. Just like a string tuned to a ‘D’ on one guitar, say a Fender Strat, will be in tune with a string tuned to a ‘D’ on another guitar, say a Les Paul. What you are referring to is tone. Yes, the frames will resonate differently, just like a guitar will. That’s why acoustic guitars are hollow (more resonance) and electric guitars are solid. As long as you’re not trying to tune your frame, it will be the same between all frames. I imagine the range of the Hz for the belt drive system is to account for different chain stay lengths. @dgaddis: What Anonymous said is correct, the frames themselves aren’t really going to impact the tone from the plucked belt. What’s going to affect the tone is the mass per unit length of the belt, the length of the belt, and the tension. If the goal is to achieve the same tension on all belts, then frames with longer CS (requiring longer belts) would need to be tuned to the lower end of the frequency range. If you had one bike with 18.0″ CS and one with 16.3″ CS tuned to the same note, then the 18.0″ CS would require ~22% higher tension (tension is proportional to length squared). I haven’t seen Gates’ recommendations, but like Anonymous said I would expect there to be a measurement relating CS length to frequency. I just finished the Tour Divide in 20 days with a 50/20 Rohloff Serotta. The belt was worn from the snow and mud so I replaced it in Steamboat Springs, just for piece of mind. No ratcheting, slipping etc, and when I checked the tension(just one time) it was pretty low(not that the “cricket” is accurate). I’m in the process of setting up the center track on my Sawyer….I’m having issues with “belt line”, is it ok to run the rear cog all the way out to the end of the stock cassette hub? @Matthew: Yes- That is pretty much the only position you will be able to run a rear Gates cog on any cassette free hub body. You may have one thin spacer under the lock ring, but that’s about it. So, my criticism stands. Gates needs something worthy of the system and that is more accurate, easier to read. @Ted, cheesy it my be but it’s better then nothing and much better then an iPhone application IMO. I’m sure Gates can come out with something better but is it really worth doing? From my experience, the belt will let you know if it’s not happy fairly quickly with or without a tension gauge. The Kriket tool did tell me that I was running the belt too loose and I have yet to have any slipping or popping ever since tightening the belt. Just took it out for a good ride tonight and afterwords the tension was still golden even after not checking it for a while. It’s a good piece-of-mind kind of thing. 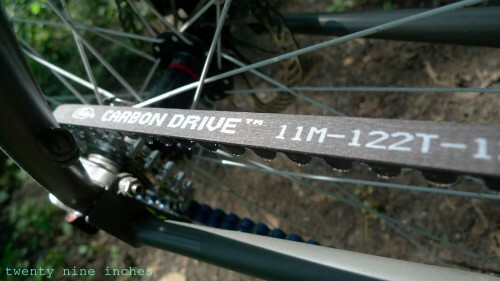 My punk’n orange custom Surly 1×1 is actually pictured on the home page of the Carbon Drive website with the “Durable” caption. @Dan: Absolutely, I think it is worth Gates doing this. It could double as a shop tool as well. This would be a big deal for mechanics as well as riders. Another thing: I don’t want the belt to let me know it isn’t happy. Especially if I am out two hours into the back country. Ya know? That isn’t something I think would be good for rider confidence, or for the belt’s lifespan. But I will concede that only a few set ups really need be concerned with this sort of thing. For instance, once I have the Sawyer set up properly with the Carbon Drive Center Track, the vertical drop outs don’t need to be “moved” to let me take out the wheel. Set it and forget it. I like that. But if you do have a system of tensioning that requires loosening to allow rear wheel removal, it is an issue. And again, mechanics in shops could really use a mechanical, easily read and used device to accomplish proper tensioning of the belt. Folks changing ratios could use that as well. All this talk about the belt-line needing to be spot on. What is the belt-line dimension for a Roholff hub with the Center Track cog? I found the data for the CDX on Universal Transmission’s website, but no info on the Center Track. I have found dimensional data for the Center Track front sprocket including where the mounting surfaces are located in relation to the belt-line so I’ll be able to dial in the crank/BB once I find the actual belt-line. 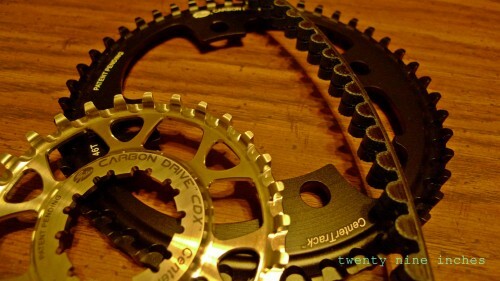 I had mine mounted right at the end of the cassette body due to the assymetric design of the sprocket, so the front sprocket could be mounted on the outer position on the crank to clear the chainstay. 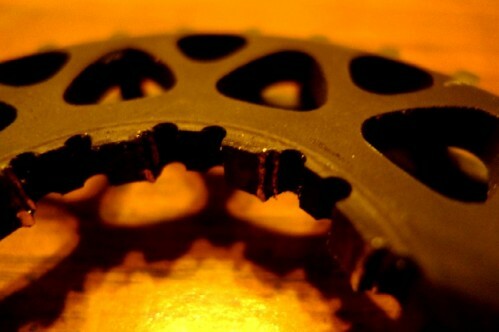 Turns out it was so far out the splines on the sprocket weren’t fully engaging the freehub, so the sprocket is mangled. Temporary solution is to reverse both sprockets, mount the front one on the middle ring position, and mount the rear one inboard on the freehub, which allows the (non-damaged side)splines to enagage on the freehub. I only fixed this last night, so will have to see how it goes. So, I’d suggest NOT mounting the rear sprocket too far outboard, unless your freehub splines go all the way to the end. My name is Fernando Rivero and bought one bikes on 01.03.2012. Now the bike has 2500 km and I have a problem with the belt “Center Track” Brand “Gates”. The belt teeth are broken and I had to replace it. The belt has never given any problems so far, has never been dismantled, and have always been happy with his performance.